Customers today are digital. Google processes over 3.5 billion queries per day. In 2017, Statista reported that 81 percent of people in the United States had a social media profile, a 5 percent increase over 2016. Never before has there been a means to reach such an incredible percentage of your customers. According to Nielsen, recommendations from friends and family remain the most trusted form of advertising. 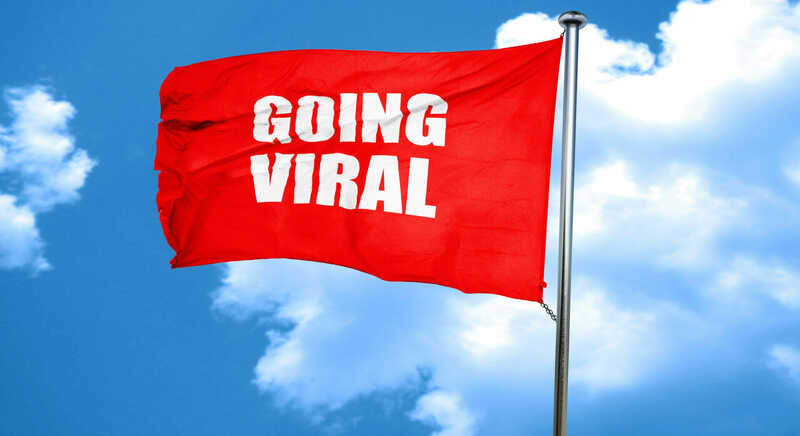 Social media empowers customers to take these recommendations viral. Customers use the platforms to discuss their experiences with brands as well as interacting directly with the companies themselves. Digital search also brings prospects to review sites, including Google, Yelp, and Facebook. When users search for businesses near them, they often are presented with a local 3-pack, where they see the star rating the business has received from other users. These conversations on social media have a shocking impact on buying habits. Facebook alone influences over half of all users’ online and offline purchases. 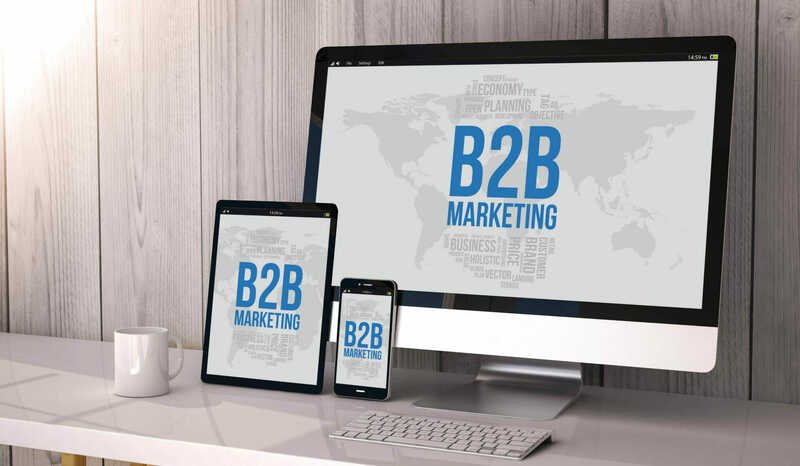 Over 70 percent of B2B buyers report using social media for purchase decisions, and several major B2B organizations– such as IBM and Maersk Line have been able to tap into the conversation. Through their social profiles, they have influenced public brand perception, gained feedback about the values of their buyers, and even secured sales. Off social media, three-quarters of local searches become in-store visits. Additionally, 94 percent of B2B buyers report researching online before making a purchase. Brands that do not prepare to engage in this digital world risk falling behind and being left out of the conversation. They will miss the insight they can gain on their customers, lose opportunities to directly engage with users, and not be able to influence the narrative about their company. Here is what you need to know about search engines and social media trends today so you can maximize your presence. There are numerous social media platforms available today, and it seems as though the number grows each week. Do not feel overwhelmed. You don’t need to have a profile on every possible platform – and sometimes it’s more beneficial not to have a presence on an inappropriate social platform for your business. You should instead focus on the ones that offer the most value for your organization. Different platforms attract different types of audiences. Typically, brands will want to have a presence on the major three platforms of Facebook, LinkedIn, and Twitter – and sometimes these huge, mainstream platforms are not a right fit for certain brands. The smaller platforms may be more tailored to their audience. Discovering where to find your audience when the digital world is constantly changing and updating is a huge challenge that requires a lot of research and testing. 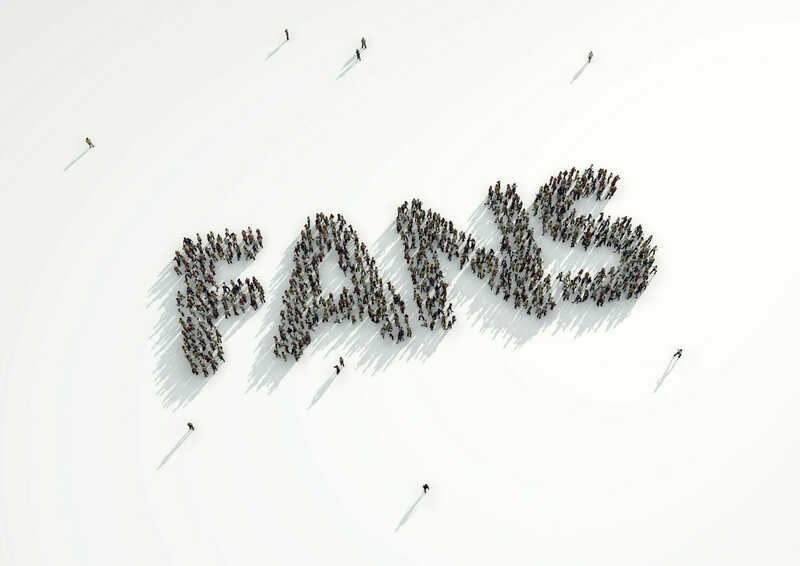 In this article, we will review which audiences are on which social media platforms so you can gain a better idea of where your business fits in the social-sphere. After you conduct your research and decide which platforms work for your business, you will need to create your profile. You’ll need to remember the different audiences that each platform attracts. You do not want to create one brand description and use it across all of the platforms. For example, on LinkedIn, you will create a more professional profile that might mimic how you would speak to a prospective customer at a networking event. On Facebook, however, your profile will take on a more casual tone. It might sound more like how you would introduce your brand to a friend. Using curated content can also boost your reputation as an expert and help to create industry connections that you may not have made otherwise. Sharing thought-provoking articles posting by like-minded brands shows that your company is staying on top of the industry and always looking to grow through education. Do not shy away from using a few different types of content. Visual content remains very popular on social media. Facebook posts with images, for example, receive 2.3 times more engagement than content without them. Look for high-quality images that add value. Personal pictures that you take of products, people in your business, or your brand at events, for example, will be particularly useful. Draw attention to your content by posting it on your page and using apps like Facebook messenger to help people find it. Video content has also surged lately in popularity. 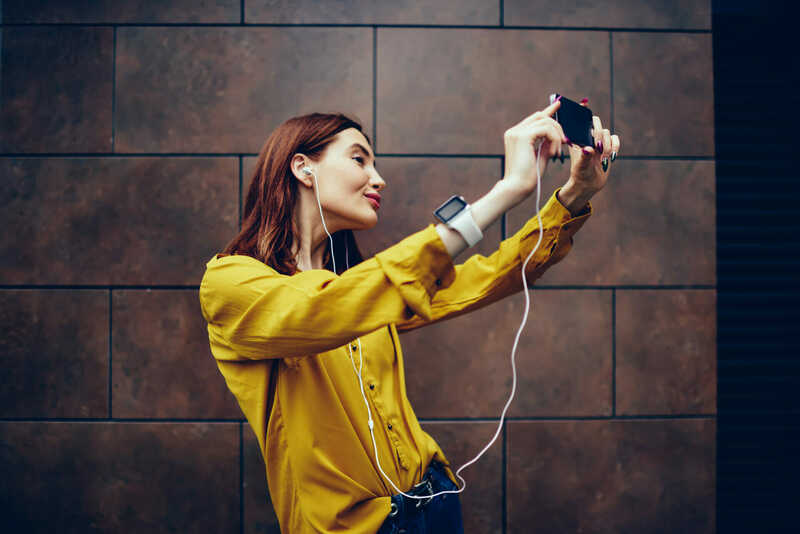 Over 500 million people watch videos on Facebook every day, and Facebook live streaming drives even higher engagement than traditional video on the platform. Live video and standard video drive trust and build more personal relationships with clients, boosting brand success. Let people get a behind-the-scenes look at your company, a chance to see your products in action, or otherwise get a personal look at what you have to offer. 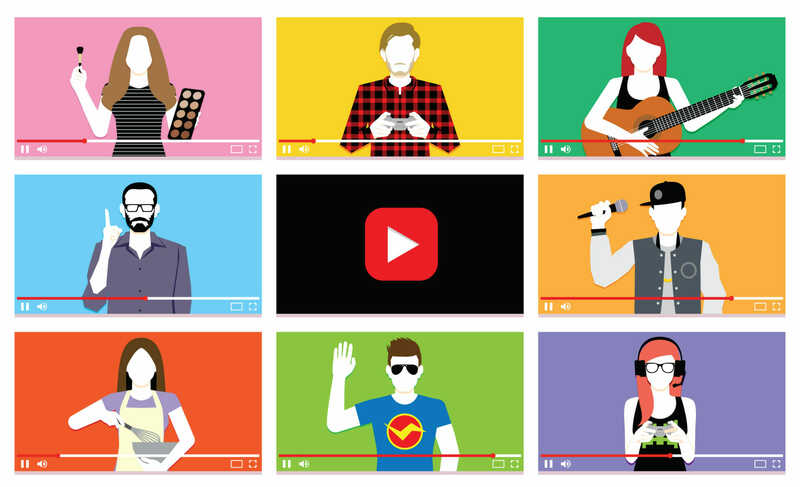 Interestingly, as many as 85 percent of videos on the platform are watched without sound, indicating the brands should focus more on the visual aspect of their videos than the audio. Transcribing your videos is important – take the time to add subtitles for users who do not watch video with sound. You can also use one of the top key trends, augmented reality, to boost the quality of your images and videos. Let people know what it would be like to use your products or patronize your establishment with this technology. In addition to your content, you also want to actively engage customers in conversations. This will allow you to attract additional attention to your page. When people comment on your content, it automatically appears in the feeds of their connections. This builds your brand reach and encourages more people to follow your pages. Asking open-ended questions and promptly answering questions on your page can be great ways to build engagement. You can also post polls on Facebook asking your fans a question and having them choose an answer. Think of ways that you can get your audience involved in big decisions and show them that their opinions are valued and put into motion. Influencer marketing can also help you build your audience. Follow key influencers in your sector and actively engage with their content. This will introduce them to your brand. You then post content that will interest them and their followers, encouraging them to like or repost your material. This exposes your material to their large audience, building your own follower base and increasing brand recognition. In addition to the content you promote, you also want to encourage your users to post their own content. This will boost their engagement with your business, building a stronger brand community. Users also report finding user-generated content 85 percent more compelling. Offer incentives. Hold contests for people who post images of your products/services. The winners can receive coupons or other benefits. Integrate real-world experiences with social media. Consider Coke’s campaign to have people share a Coke with a friend. Facebook remains the dominant social media platform with 1.4 billion daily active users. The platform is slightly more popular with women than with men, with 83 percent of women and 75 percent of men reporting having a profile. Among people in the 18-29-year-old and 30-49-year-old age groups, over 80 percent report having a profile. Usage is also relatively even across urban, suburban, and rural populations. LinkedIn has earned its reputation as the professional social network. Posts and content strongly revolve around the professional world. The platform is slightly more popular with men than with women and users in the 18-29 and 30-49-year-old age groups remain the most likely to sign up. Urban populations appear to like the platform the most, followed by suburban populations, then rural. It also is more popular with those who have a minimum of a college degree. The best days to post tend to be between Tuesday and Thursday, with a Wednesday peak. Mid-afternoon sees the most activity, typically between 3 pm and 5 pm. Twitter moves as a perpetual conversation, creating a fast-moving, engaging platform. Usage tends to be pretty consistent across genders and 18-29-year-olds remain the biggest age group. Although popularity appears relatively consistent across urban, suburban, and rural populations, it is slightly more popular with those who have at least had some college experience. Twitter appears to be a popular platform for users to visit on lunch breaks or at the end of the day. The workweek remains the best time to post, with peak usage occurring between 12 pm and 3 pm and then again at 5 pm. 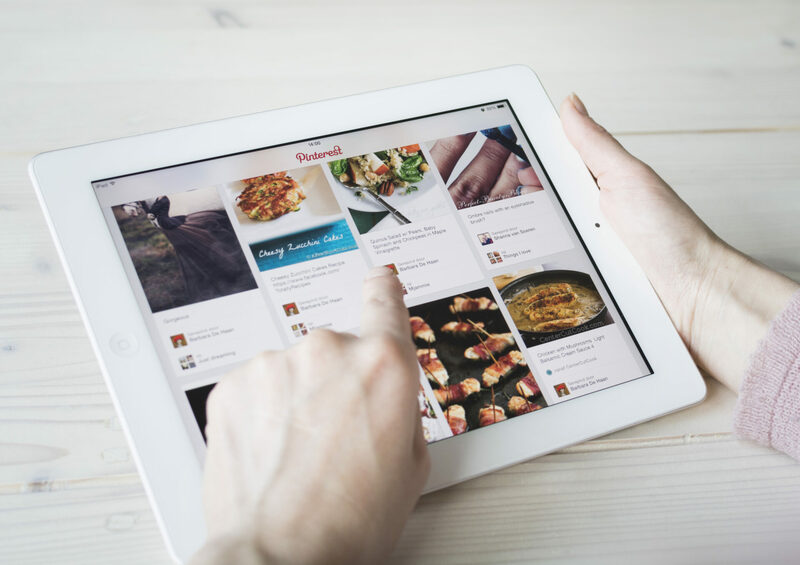 Pinterest offers a unique standpoint as a highly visual platform, where users focus more on sharing images and ideas rather than text. It is much more popular with women than with men, but the number of men registering has grown lately. Users residing in suburban environments also become more likely to register, followed by those in urban environments than rural. The most common age group to register is those between 18 and 29, followed by those 30-49 and then 50-64. Pinterest appears to be a platform users engage with at home, contrary to the earlier ones discussed. Usage appears higher on the weekends, particularly after Fridays at 3 pm. Instagram is another highly visual platform. It has grown quickly over the past few years and now boasts over 600 million users. More women find it appealing than men and 18-29 years olds tend to register more than any other age group. It also enjoys greater popularity in urban environments. Mondays and Thursdays generally see the greatest activity on the platform, with mid-afternoon being the worst time to post. Videos, in particular, seem to be most popular after work hours, with activity peaking between 9 pm and 8 am. 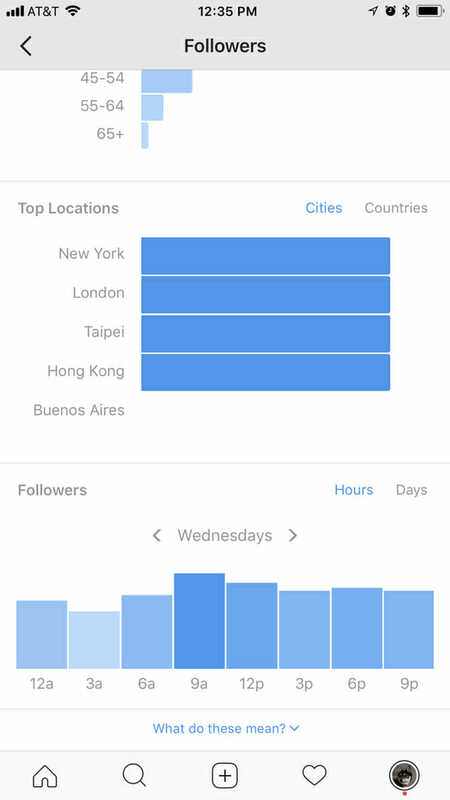 Again, you can access your business analytics on the Instagram app. Scroll ‘followers’ under the Insight Tab and click ‘See more’, Scroll to the bottom to see when your followers are on the app. This will help you with the best time to post organically. Along with this, you can also see your best performing content so you know what resonates with your followers and create campaigns based on it. Snapchat has earned its reputation as a platform for the younger generations. Among adults, it is most popular with those between 18 and 29, but many users fall in their teens. Usage remains relatively even between men and women. Since the demographics for this platform tracks young, the prime posting times fall later than other platforms. Aim to post after 10 pm to engage users on this platform. Three of the largest search engines, Google, Bing, and Yahoo, also tend to attract their own demographic populations. Understanding who will be more likely to use these platforms can help you prioritize your PPC spend as well as how you optimize your content. These search engines work to best match the queries people make online with the content most likely to answer the need. Many of the algorithms incorporate some artificial intelligence features to help them better match queries. Google dominates the search field and processes an estimated 64 percent of searches. It also boasts strong control over the mobile search market, where it now controls 95 percent of global mobile search. 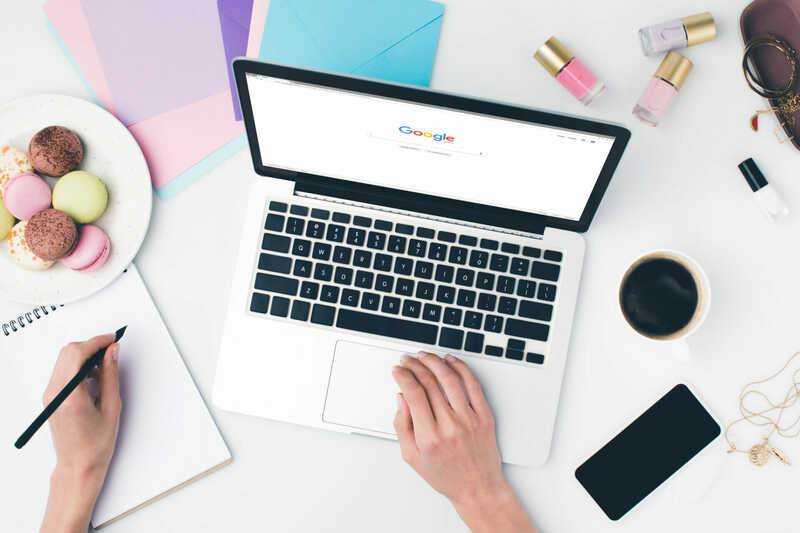 This mobile emphasis has led to Google incorporating mobile optimization into their algorithm, leading to a mobile-first algorithm that began to roll out in March 2018. When users have Google Chrome as their Internet browser, whenever they type into the search bar without adding a .com, .net, .org etc., they will automatically be conducting a Google search. Bing processes an estimated 5 billion searches per month, serving as the second most popular search engine in the United States. An estimated 51 percent of searchers are female and 49 percent male. Interestingly, they have an estimated 20 percent higher buying power than the average searcher. Yahoo is powered by Bing. Together, the Microsoft network process an estimated third of P.C. searches in the United States. Brands should understand how their campaigns might differ between B2B and B2C campaigns. B2B brands have historically leaned towards platforms like LinkedIn, where they can engage directly with the potential buyers for their products. 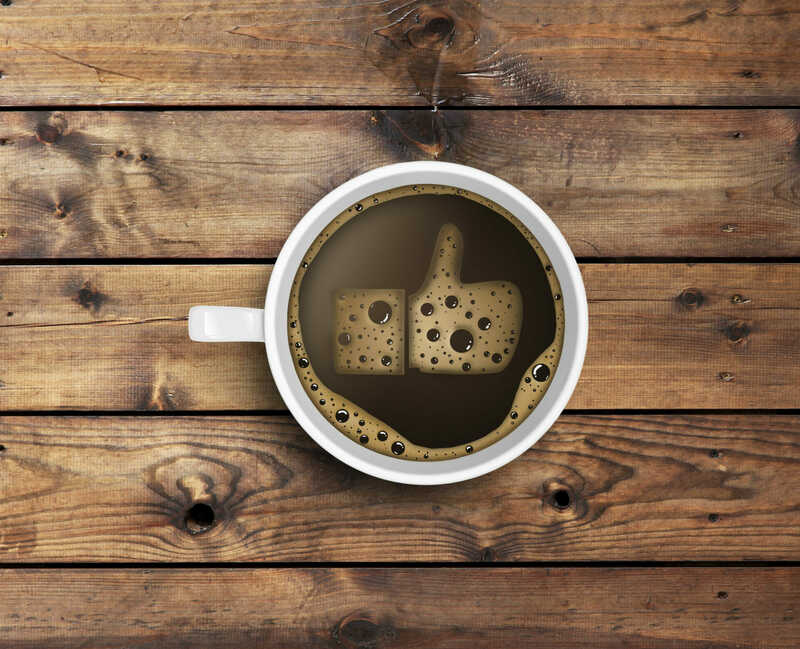 Over the past year, however, usage of Facebook has actually surpassed LinkedIn, making these two platforms the most popular social media channels for those in the B2B sector. Regardless of the platform, B2B marketers focus on promoting the value of their products and services over triggering emotional connections and decisions. They also generally deal with a longer buyer cycle and clients who care more about the expertise of the brand. This means that the social media platforms focus will be on lead generation for these organizations. From the beginning, B2C organizations have focused on Facebook, although most have a presence on other platforms as well. B2C marketers want to trigger emotional buying decisions in their customers and focus on the importance of their products. Their audiences generally want to be entertained by them and find deals for their products and services. Understanding trends and demographics in search and social media can help you create an optimal strategy to get your brand discovered. It will help you better engage your prospects. 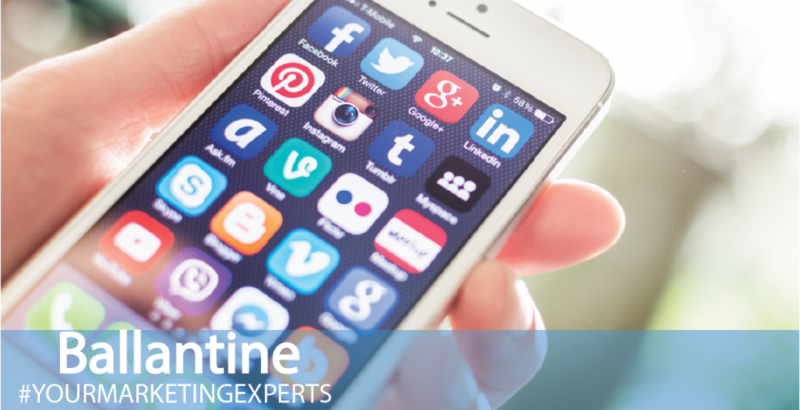 At Ballantine, we have decades of experience in marketing, and we are ready to help you succeed online. Contact us if you would like to review your social media strategy or have any questions.